Forbes recently cited a 38% surge in new home sales since last year, hitting a five-year high in June, according to the newest figures from the Commerce Department. For those of you with short-term memory, that would be the last good year of real estate sales before the bust. Yet, despite a monthly drop in activity, sales of previously owned homes remain 15% higher than last year as well, according to the National Association of Realtor’s. Could it be this is the beginning of another boom/bust cycle? Most Industry experts are doubtful that the recent rise in real estate prices could be signaling another boom/bust cycle because although the year over year gains are positive, the gains are being compared to three or more years of double digit losses. Therefore, any positive gains still represent net losses to any homeowner forced to sell today who bought at the top of the market between 20005 and 2008. The run up in mortgage interest rates, although has caused many would-be buyers to jump quickly off the fence has also helped to temper rising home prices in most markets. However, here in Raleigh, there’s a different story. According to NAR, the Median Sales Price of Existing Single-Family Homes rose a healthy 2.9% in Q2 2013 from $193,200 during the same quarter last year to $198,800. But the real surprise for me was in Durham which saw a 3.6% overall gain from $198,500 to $205,700 for the quarter ending July 30, 2013. Of course, this really should come as no surprise to anyone paying attention to the Raleigh economy. With companies such as Red Hat, Citrix, Met-life and Toyota (just to name a few) making major investments in this markets and the high paying jobs that accompany those investments, it is unlikely that we will see prices reverse themselves in the Raleigh-Cary-Durham MSA anytime soon. 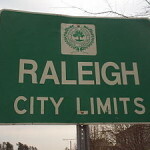 For the moment at least, it appears as though the real estate bust has officially ended in the Raleigh-Cary-Durham market. 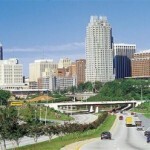 Once again Forbes names Raleigh #1 Place for Business! Real Estate; is it Your Best Investment Option? ← What’s a Streamlined FHA 203(k) Rehab Loan good for?